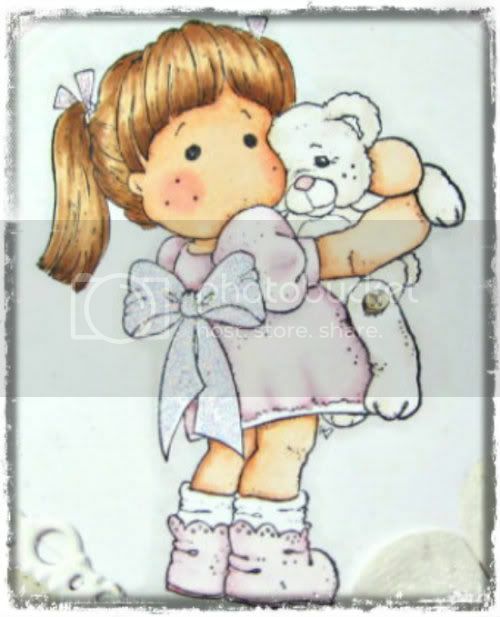 crafting daydreams: sweet tilda with teddy! Well fingers crossed it looks like we might have goodweather for the bank holiday weekend up here in the north! It's beautiful and sunny as I write up this post! I tried to get a bit closer not sure if it's any clearer, not convinced, but love the pic so i'm keeping her!! :p! Lol!! Well see you on sunday for my Totally Tilda DT card and if you've left a comment and entered the hop, you may be lucky and win my candy! still havens't a pic but it does include some Magnolia papers, WOC flowers, ribbons and other bits and bobs!!! So if I don't see you before! so pretty! thanks for playing along at Charisma Cardz this challenge. oh, such a sweet, sweet card! Love the pinks with the white details. So pretty! I just adore that stamp, its so cute! Thanks for joining us at Just Magnolia this week. Aww, this is absolutely gorgeous! Lovely colouring on this sweet tilda, and the papers and layering are gorgeous too!